July's Art Recipe contains Finn's newest products: gorgeous Unicorn Opal Magic paint set, sparkly Melange Art Pebbles, and amazing Texture Fantasy Pastes! The brush went into motion, and so did Texture Fantasy – Rust Effect Paste 'Northern Lights'' and Art Alchemy – Opal Magic ''Unicorn Set''. I feel so inspired with their colours! I always start altering by covering the item with gesso. This time I've chosen black gesso – it dries very quickly, and its matte finish gives depth to the work. I started adding colours by using paste – subtly rubbing them into the work with my finger. Applying them is so easy – you can do it with a brush, knife, sponge, or simply with your finger. Every touch makes the surface more rough and porous. I truly love when my projects are shining, so I added Art Alchemy – Opal Magic – Unicorn Set. These colours are really astonishing. Opalescent paints look best on black and white surfaces because the same colour looks different on black and on white bases. 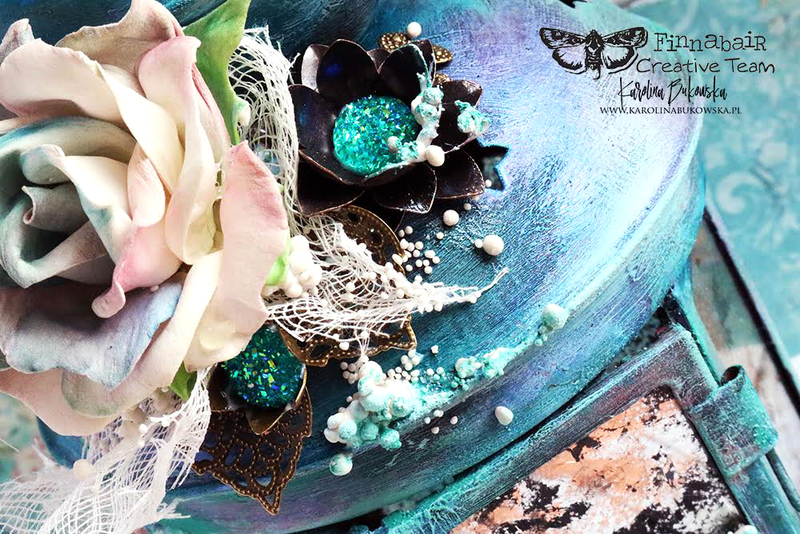 To add extra texture I used Art Stones, metal flowers, and the cutest Art Pebbles – Sugar adhered with 3D Gloss Gel. I really think they're like the icing on a cake. These were my brand-new favourites by Finnabair! What are yours? This project is really simple - try it! 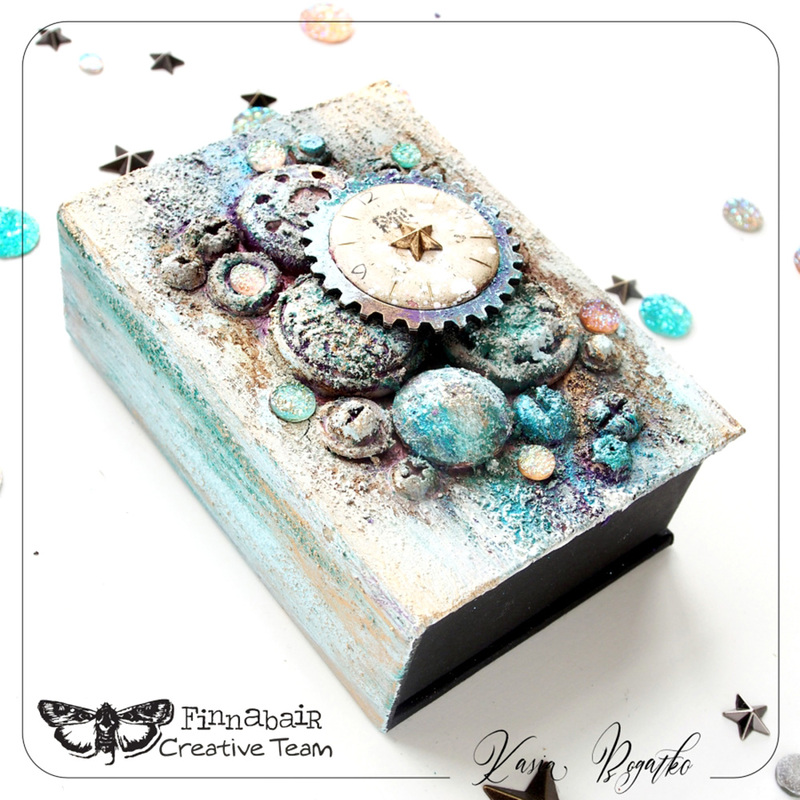 I covered the whole box and resin shapes with white gesso, and then I added the rest of the media. 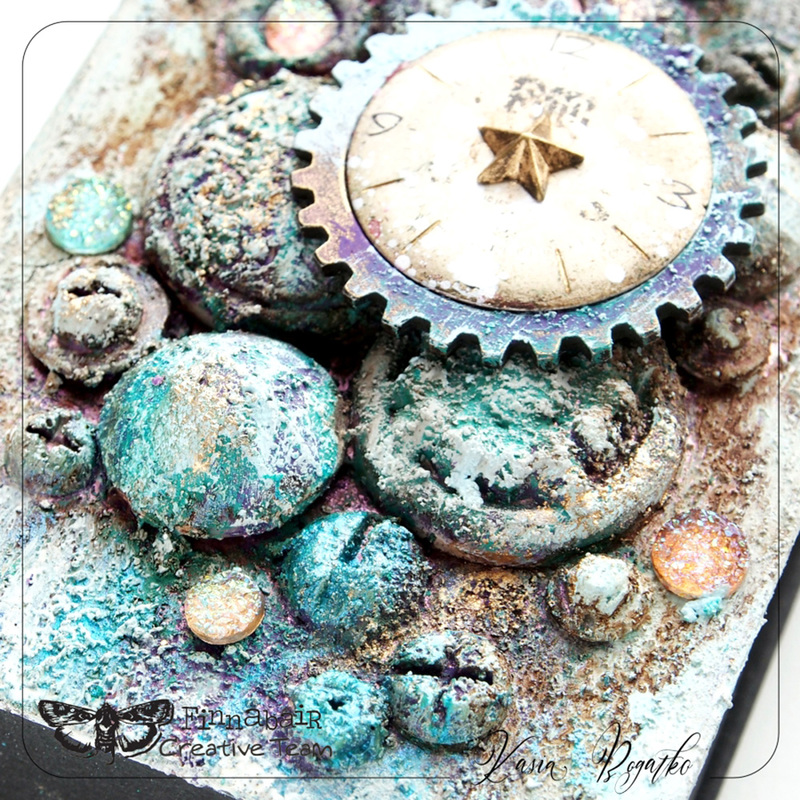 To achieve this unusual structure I used a new Texture Fantasy paste, which, in addition to this grainy texture, has amazing colors! I also used new Opal Magic paints - each one is an amazing color that gives the project beautiful flashes. To add more bling to my project, I used beautiful new art pebbles, that shine with a lot of crystals. Finnabair and her team are always so INSPIRING! Their amazing products, creative ideas, and gorgeous projects are always top notch! Join us with your own Art Recipe project and tag us so we can send some love your way!